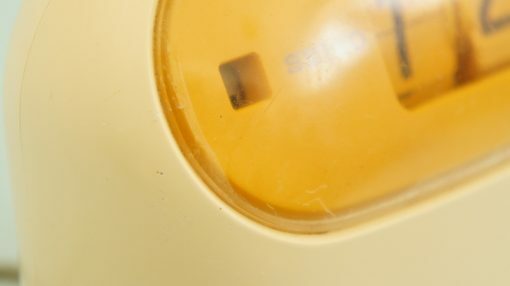 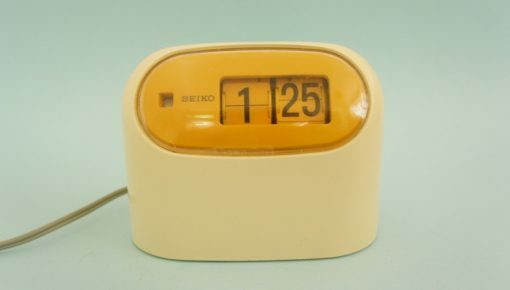 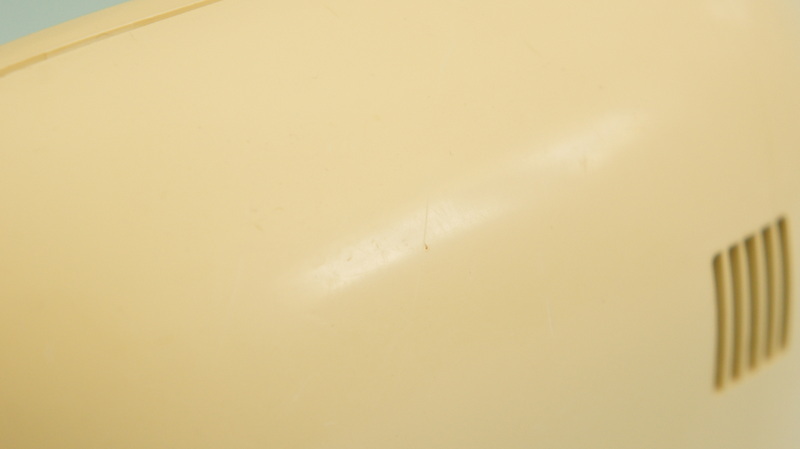 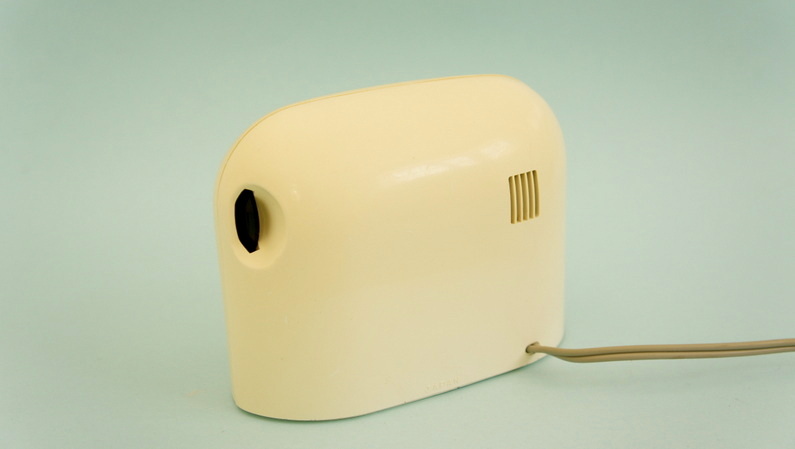 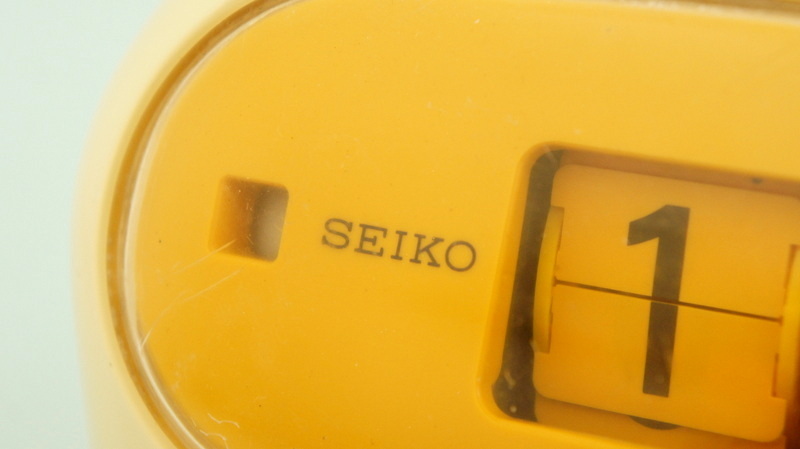 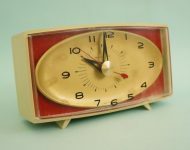 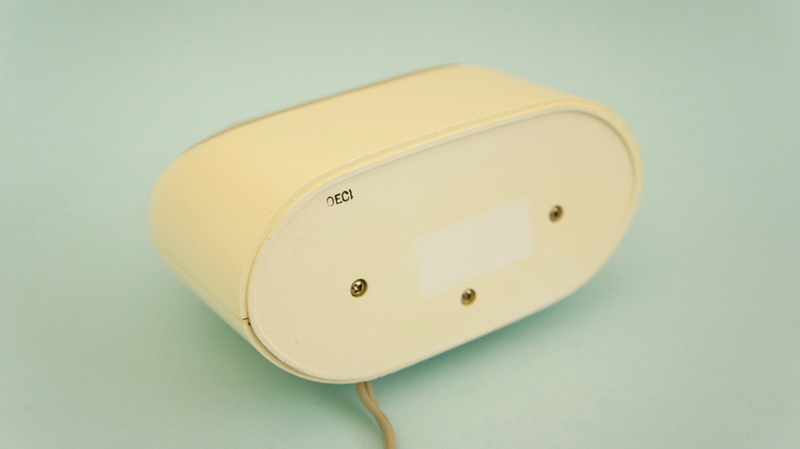 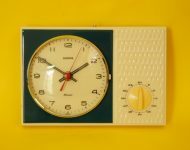 The plastic case for this retro Seiko flip clock isn’t as bright and shiny as it used to be – the plastic has discoloured with age, and it’s also quite scuffed in places, but for its years I don’t think it’s in bad condition at all. 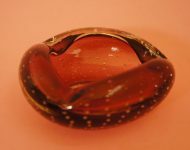 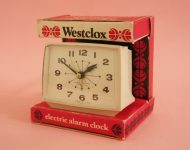 Most importantly it seems to keep decent time – I had the clock running next to my bed for a while, and provided the load shedding didn’t interrupt it seemed to work just fine! 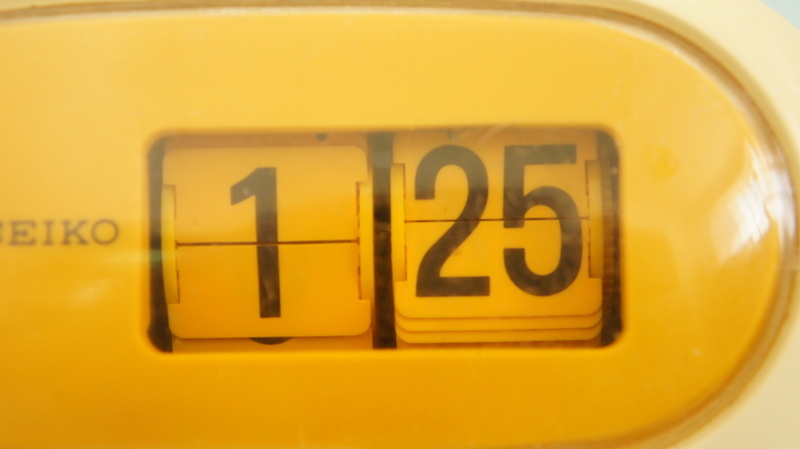 Occasionally one of the numbers would get stuck, but a little nudge and it would continue as per normal. 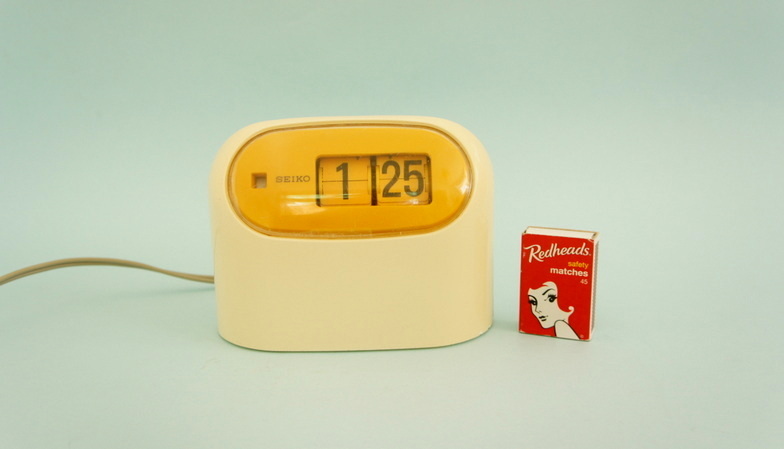 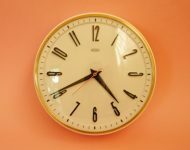 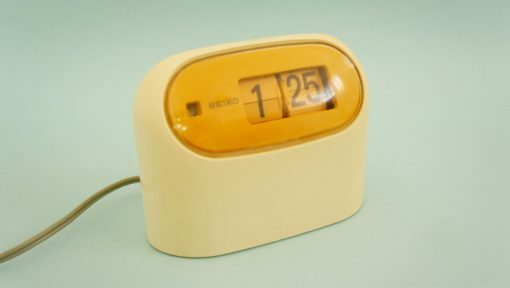 A very plain, but still very attractive clock that will make for a great bedside clock (it has a little night light so you can see the time in the dark), but would also work well in a home office. P.S. 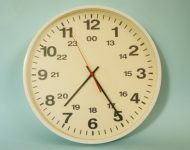 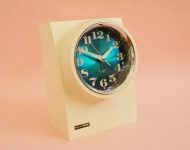 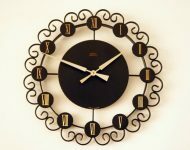 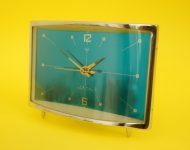 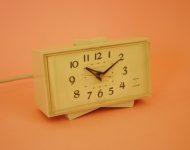 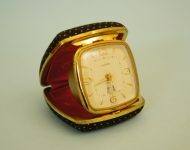 There’s an orange version of this clock for sale for a crazy $125, and a white version valued at between $50 and $100!